Security permissions are centrally managed based off AD users and role based groups, including use SQL Row Level Security. 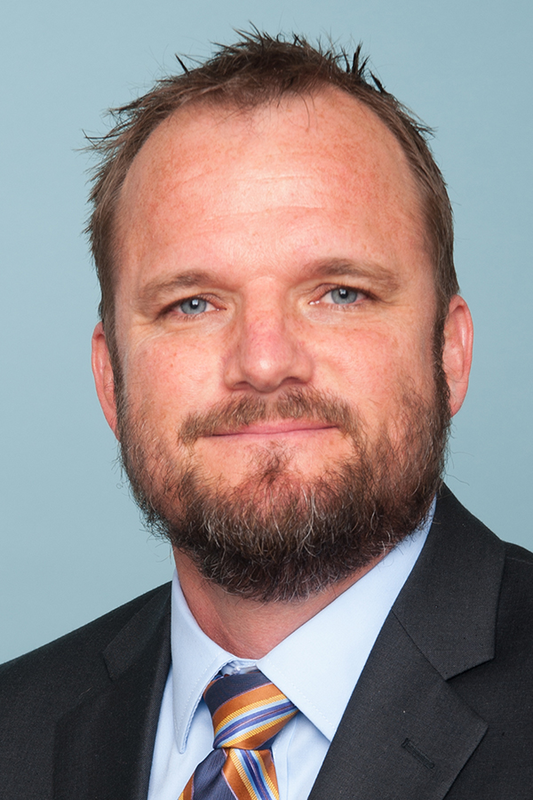 Throughout the duration of Term 3 the team have been focused on delivering a new set of reports for Mr Dean McKenzie one of the Assistant Principal’s at the College with responsibilities for Data Analysis. He had provided some concept designs for how he would like to see the reports look, along with the location of the majority of the data in our Student Management System (Synergetic). Additionally, there had been changes to how the Grade Credit Average (GCA) was going to be calculated moving forward, which would see individual subject’s have a GCA calculated for the first time along with more rigid definitions of how various credits would be counted. The teacher code (for full time classroom teachers this is automatically locked to their username meaning they only see the students in their classes. For Academic Deans or managers, they can see across a wider set of students). A year level filter, allowing a teacher to quickly narrow the selection of students down by the year level e.g. their Yr12 Maths students or Yr13 History students. The list of students arranged alphabetically that are taught by the teacher in the year level they have selected. Note these are colour coded pink/blue to give a visual cue to the teacher if they are looking for a male/female student in their class. A bar graph visually displaying the same data as #5 but designed to quickly identify subjects of particular strength or weakness for the selected student. Note that the subjects are listed alphabetically and not by highest GCA to lowest, allowing for a “cityscape” effect. The name of the current student that is selected and the class code of the teacher who is browsing the report (useful if a teacher happens to teach a student a number of different classes). This report allows a teacher to quickly see the individual students in their class ranked by GCA from highest to lowest and compare the current year GCA in the teacher’s subject with the student’s overall GCA from the previous year. This allows a teacher, at a glance, to see who are their best performing students based off completed assessment but to also pick up if there is significant variance between previous and current performance. In the above example, the top bar graph shows the 4th ranked student in the class (in pink) was actually the 6th ranked student (relative to the class) the previous year. Whilst this is a very small sample size, what this can show is a student who is possibly underperforming or showing improved performance relative to the students in their class – all helpful information for a teacher to consider. Showing the classes taught by the logged in teacher. Note that this also includes co-curricular options that the teacher coaches/manages, allowing them to review academic performance for all students that they have contact time with (this was actually the #1 request we had from teachers after launching the Tutor Quadrant Dashboard earlier this year – the ability to see results for students in all areas of their involvement at school). A gender score card. This is simply showing the number of males / females in the class. Bar graph (ranked) showing students by GCA, highest to lowest for the subject taught by the teacher and in the current year. Bar graph (ranked) showing the same students but their previous year GCA across all subjects, again ranked highest to lowest. A table giving a break down of the students in the class and their GCA in individual subjects. This is helpful if a teacher wanted to compare how a student was doing in a similar subject e.g. an English teacher seeing if a student was performing comparably in other literacy intensive subjects such as History. This was perhaps one of the most complex and ambitious pages to put together as it was potentially combining academic data from Yr9 Entrance Testing, PAT results (Yr9-10), MidYis Results (Yr9-11) and NCEA data by GCA. Additionally, this needed to give a break down of priority learners based on identified learning needs as well as ethnicity. The academic “score type” and “sub-score type” the teacher is wanting to see. If a teacher chose Yr9 PAT then the sub-score type would automatically display what options were available (i.e. English, Maths and Vocabulary). Similarly, if a teacher chose GCA as the score type they could choose the GCA for whatever subject they wished to check. The recent addition of search boxes from PowerBI make this process far easier to manage when there is a lot of options to choose from. Priority Learners – this is still being developed, but for now it highlights any students with data recorded in Synergetic, from diagnosis through to strategies to use in the classroom to support their learning. Ethnicity breakdown for the students in the class displayed in a pie chart and table below, along with the names of Māori and Pasifika students in the two boxes in the bottom right of the report. The bar chart that shows the students ranked by whichever score type the teacher has selected. Note that there are no axes on this graph, a necessary requirement given the academic data does not always share identical measures/scores. However, by placing the cursor over a student you can easily see their score e.g. a stanine for a PAT test, or a 2 decimal place GCA score for NCEA results. Additionally, there are visual cues on this graph that further help identify students with listed learning support needs or who identify as Māori or Pasifika. A reminder that all of this data refreshes automatically each night so the teacher is always seeing the latest information on their students. Should a student leave/join the class the data is refreshed to reflect this. One of the most requested features by the Senior Leadership Group and Heads of Department at St Andrew’s is an easy way to compare, standard by standard, how our students and teachers went compared to similar schools around New Zealand (similar schools has been defined as Decile 8-10). 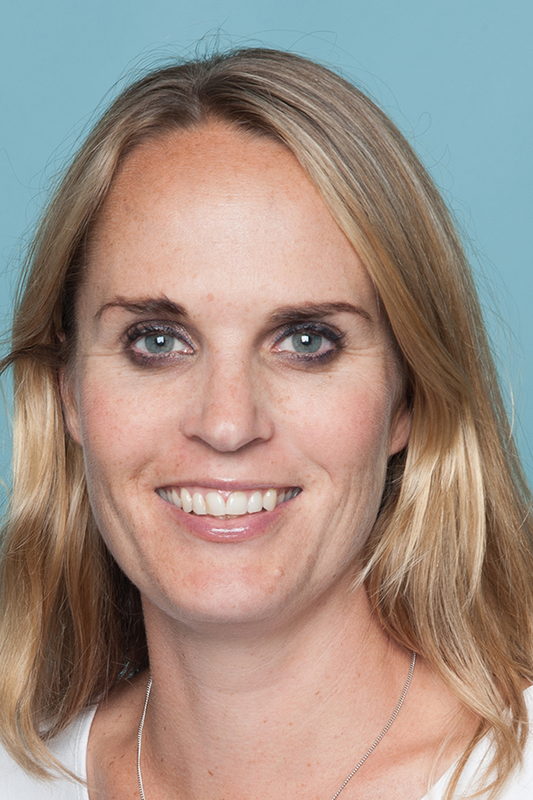 One of the challenges has been getting access to neatly formatted data that contains all NCEA standards, not just individual results which could be downloaded from the NZQA website. Top left = All students being compared, the top bar is comparative schools nationally (all students who sat this NCEA standard in Decile 8-10 schools). The middle bar is the performance of the St Andrew’s cohort, in this case all other Yr12 history students taught by all teachers. The bottom bar is the performance of the students in this teacher’s class. Bottom left = Performance of Māori/Pasifika students (again broken down by national data, cohort and individual classroom teacher). Top right = male students. Bottom right = female students. The results for these standards can be filtered to show either internal assessments only or formative assessment results for not-yet-sat external exams, providing students with a comparative score with the national data for that external standard from the previous year. This could work as a motivator for them before their external exams. Search box for the teacher to select the class code they want to analyze (again, searching is making this really easy), There are two pre-selected options visible which are the previous year’s national data and the StAC cohort data. A teacher could, in theory, turn these off if they simply want to display only their own class results and not compare them. Once a class is selected, this table automatically shows only standards that have a result recorded in the Synergetic database. This helps a teacher know which standard number to search for. Using the knowledge above, the teacher searches for the standard they want to analyse e.g. “HIST2” would show all Level 2 history standards allowing a teacher to quickly click through their results. By clicking the silver “merit” grade in the bottom right graph (females) the table down the bottom filters to show the name of the student(s), allowing a teacher to quickly search through student names by result. This final report is another one that is designed to quickly profile the range of ability of the students a teacher sees. However, it also delivers on one of the other most common requests from teachers e.g “I want to know how my Level 3 Geography students did in Level 2 Geography at the start of the year / or an internal assessment so I can better differentiate the teaching to meet their needs.” To date, we have struggled to graphically display a ranked past/present comparison tool for teachers and the security relationships is actually quite complex (just because you’re teaching the student for Level 3 Geography, for instance, does not mean you were their Level 2 Geography teacher). They select which of their classes they wish to filter by (many of our senior teachers teach two of the same year level/subject so this is helpful). The list of classes is pre-populated automatically, based on the username the teacher signs in as making this a very simple process. The bar chart orders the students by result, highest to lowest (as explained above). As evidenced above, a huge amount of work and effort has gone into these reports and they certainly represent the progression of thought over the last few years in terms of what is the key data we need to be able to provide to classroom teachers. A key objective of this analytics project at St Andrew’s is to provide easy access to the data for teachers on an “anytime, anywhere” basis and for it to be easily comprehensible. One of the great things about being browser based is the ability to embed third party content, in this case a YouTube video explaining to teachers how they can use this new report. These embedded videos mean that should teachers forget how to use the report, or are new to the College, they can essentially “self-train” on how they can use the report with their classes. I am genuinely excited about this level of reporting and the benefits it will have not just for our teachers, but for our students too! When preparing what I wanted to share at the 40 minute session I had been given, I decided on using the Key Competencies from the New Zealand Curriculum to explain why some examples of eLearning from four St Andrew’s College teachers had been successful. Additionally, I wanted to use authentic student voice to highlight this – fortunately, having been blogging on this site for over two years now there was plenty of examples I could draw on. If you are interested in an independent view of my session then you can see this micro blogs from Nathaniel Louwrens here and this brief reflection from Andrew Corney here. You can download a full copy of my slides from the presentation from this link on dropbox.com. The Key Competencies are at the heart of great teaching and learning in New Zealand and are the bedrock upon which effective eLearning can be built on. Thinking: is about using creative, critical, and metacognitive processes to make sense of information, experiences, and ideas … Intellectual curiosity is at the heart of this competency … [Students] reflect on their own learning, draw on personal knowledge and intuitions, ask questions, and challenge the basis of assumptions and perceptions. Managing Self: This competency is associated with self-motivation, a “can-do” attitude, and with students seeing themselves as capable learners … It is integral to self-assessment. Relating To Others: Students who relate well to others are open to new learning and able to take different roles in different situations … By working effectively together, they can come up with new approaches, ideas, and ways of thinking. Participating & Contributing: This competency is about being actively involved in communities … They may be local, national, or global. This competency includes a capacity … to make connections with others, and to create opportunities for others in the group. To assist teachers at St Andrew’s College with integration of technology into their teaching and learning, we have adopted the SAMR taxonomy that you can see on the left. Clearly, the reader’s experience is at the forefront of his thinking when he is designing his digital world. He blended his natural enjoyment of the game Counter Strike with his school work and learning – a win/win situation! This was not just technology for the sake of it – it was clearly shaping and informing his understanding of the creative writing task that was the key learning outcome here. This impressive learning came on the back of an earlier, easier task where the students in the class had leveraged an existing digital world (Google Earth) rather than having to create their own. Through the lens of the SAMR scale this makes perfect sense – the students build their knowledge and experience of digital toolsets in the lower levels of SAMR and once mastered they can progress to more difficult tasks. Here is a write up of the earlier task where students had to explain the significance of setting in a film, and this is a student talking about their comprehension. Again, it’s important to pick up on the student’s language – the technology is integrally linked to the learning outcomes, it is not merely there for entertainment or distraction. By requiring students to record their personal reflections in this way, students are using a number of Key Competencies. The final example I shared with the audience came from Level 3 Year 13 Music. On the first day of the conference I had been asked to be part of a Q&A Panel about integrating technology into schools and one question from the audience was essentially around what are real world examples of great technology usage in NCEA subjects. The heart of the question was around the challenge of adapting existing assessments to be technology rich and I answered it by a brief description of this example from Mr Duncan Ferguson our Head of Music. 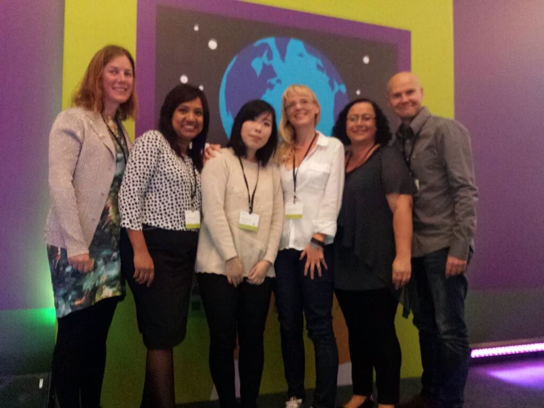 This is a repost of a blog on the official Microsoft Education blog where Mr Wilj Dekkers, a Year 6 teacher at St Andrew’s College and Microsoft Innovative Educator, recaps the journey of his classroom over the last two years with Microsoft OneNote and Minecraft. OneNote is central to the pedagogy in my classroom and school. When you walk through the building you can witness the everyday use of the application from Year 4 to Year 8. You will see Active Boards where teachers annotate writing samples in the Content Library for students to use as a reference for their own learning. Students are huddled around their laptops debating which sources of information are most relevant to include in a shared notebook, and staff are reviewing meeting notes shared through a Professional Learning Group’s OneNote. St. Andrew’s College uses a custom designed Inquiry Pathway—the core of which is built around helping students develop a collaborative approach to learning. The approach is question-driven, encouraging students to find the answers themselves, coming to their own conclusions. As a teacher, this is exciting; we plan and facilitate but cannot predict the final outcome. Having planned an inquiry around national identity in the 21st century, I had posed a problem to my class: The Christchurch earthquakes of 2011 had left a long lasting scar on both the economy and identity of the city. Tourism was dwindling, with visitors flying in and quickly moving on to other parts of New Zealand’s South Island. I challenged my students to answer the question, “What does it mean to be a Kiwi in the 21st century?” and also find a way to bring tourists back to our city. Students formed collaborative groups and created their own shared notebooks. They planned, questioned and researched their Kiwi icons. They interviewed parents and discussed how families from a variety of cultural backgrounds celebrated being “Kiwis” and what being a New Zealander meant to them. All of which was documented in each group’s shared OneNote Notebook. Students began asking if they could book laptops to work together in our shared learning spaces outside the physical space of the room. They loved having the flexibility to be able to work together around a PC or laptop and then continue collaborating using OneNote at home, completely away from the physical space of the school, in the evenings. Students were so enthralled with the inquiry unit and ability to work together in real-time through OneNote. Parents even began commenting on how they had never seen their students so excited to return from school and get started on their homework. Part of the inquiry was looking at how we could bring tourists back to Christchurch. This was where Minecraft was introduced to the class. Students brought in devices running the pocket edition and connected to shared realms via the school’s Wi-Fi. As well as working as a team to answer the big inquiry question, members of each group had individually focused on an aspect of Kiwi culture. I asked the students if they could build a theme park with Kiwiana-themed rides that incorporated elements from their inquiries. Before long, the class was a buzzing hub of self-directed learning. Students were writing presentation speeches from their inquiry notebooks while Minecraft experts built bigger and better Kiwiana rides to showcase their learning. In the evenings, groups continued developing and improving their learning in preparation for the big day. By the end of the third term of 2014, OneNote became a standard classroom tool. Having seen the benefits, families had started purchasing laptops for their students to use in our class. This again caused a chain reaction. Students with access to their own devices were using OneNote more, which in turn meant that more students began arriving with laptops. This had to be managed carefully, since having a laptop in Year 6 is not required. I was wary of technology being used as a substitution tool and made sure that in my planning any use of OneNote or any other tools we were using was in ways that enhanced or allowed learning to take place in a way that could not be done without a device. It was around this time that Sam McNeill, Director of ICT for the college, brought in six Surface Pro 3s to trial, and I was fortunate to be asked to use one in the prep school. Having always been a believer in the creative power of the pen, I was instantly won over by having the best of both worlds at my fingertips—a fully functional Windows tablet with a stylus that allowed me to write down ideas, thoughts and comments directly into my OneNote Notebooks. It did not take long for a few students to begin arriving with their own Surface tablets! In the final term of the 2014 school year, we focused on our use of narrative; enhancing writing features and broadening our vocabulary. Using both OneNote and Minecraft seemed like a natural fit. The students loved it. We discussed modern game worlds, from Fable to World of Warcraft. How could we emulate those fantastic “Fighting Fantasy” stories using the technology at our disposal, and how could the technology enhance the quality of our writing? We wanted our readers to have the same sense of choice and adventure we had experienced reading “Warlock,” while being able to share our writing without needing to produce any form of print media. Through the insertion of hyperlinks connecting pages, students found an easy way to provide choices for the reader, and as notebooks stored on Onedrive could be easily shared, the audience for their writing expanded quickly. Students were sharing and collaborating on their adventure stories by allowing editing rights to certain classmates deemed to have the relevant skillsets to be seen as official class editors. The inclusion of Minecraft was thanks to Ms Tam Yuill-Proctor, a Year 10 English teacher in our college. Students in Tam’s creative writing class had used Minecraft and other 3-D authoring tools to create worlds for their stories. Our Year 6 students took Tam’s idea and expanded upon it by using Minecraft to both plan and develop their writing, as well as to review and revise the content, descriptive phrases and vocabulary. As their Minecraft worlds grew, so did their stories, which were housed in OneNote. In some cases, we had 10-year-old boys who were not big fans of writing producing 5000-word interactive pick-a-path stories. 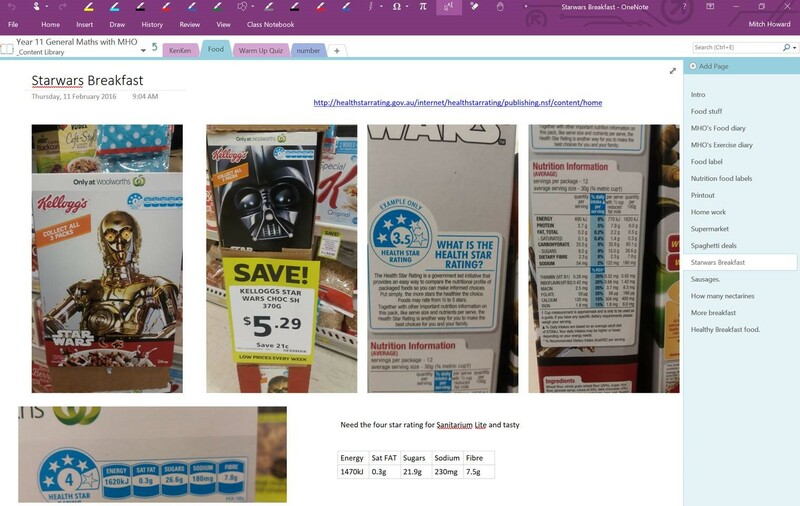 We published a blog entry detailing the OneNote and Minecraft pick-a-path story. 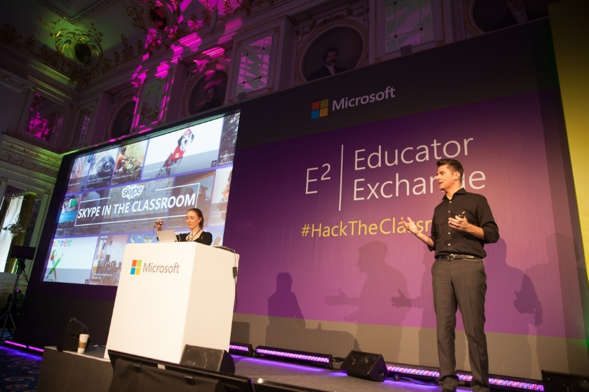 By 2015, most teachers in the prep school had embraced OneNote. The superb OneNote Class Notebook app creator was now an important element of Office 365, and students were appreciating the structure of the Collaboration Space, Content Library and their own personal sections. Teachers were appreciating the organizational simplicity of adding resources and lessons into the Content Library for students to use in their own sections. Within my Year 6 class, multiple students arrived at the beginning of the year armed with Surface Pro 3s. OneNote sections became collaborative planning spaces for groups designing games and interactive narratives; students naturally made use of the Collaboration Space to form group sections for our prosthetic hand designs for the 3-D printer. How often do you want to access the internet but can’t because your device is connected via Wi-Fi to the classroom projector? It’s one or the other … but not both. 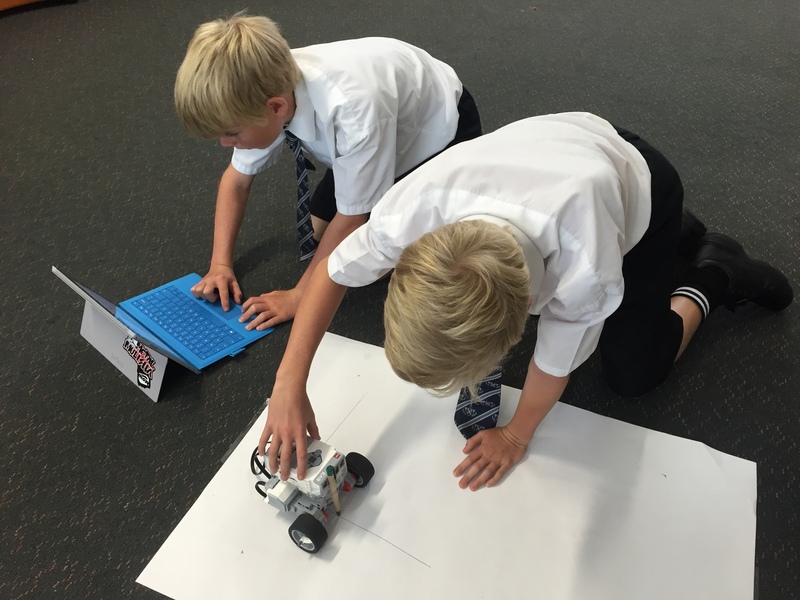 St Andrew’s College has worked with Epson to find a way to do things differently. By Term 4 last year, the College had rolled out 35-40 Epson EB-535W short-throw projectors. Two underlying needs for a projector upgrade were also present, the first being teachers wanting not to be tethered to a projector by a VGA or HDMI cable. The second, more importantly, was St Andrew’s experiences with other technologies. “We’ve played around with WiDi and Miracast devices, and had varied results. Epson’s EB-535W projectors are networked and have their own IP address which is displayed on the projector’s screen, and a signal is received from a teacher’s Surface Pro via the school’s wireless network. Rather than going from one device to another (point-to-point), this allows for a highly stable connection, not unlike live internet streaming. St Andrew’s separates all projector traffic on to a separate VLAN (with a dedicated switch), meaning it was isolated and would never affect general school-wide Wi-Fi speeds. All installation of the projectors was done by the in-house ICT team. Enticingly, Epson’s projectors did not require a network upgrade, they could be used on the existing wireless infrastructure. “We wanted to be able to use them for the internet and project the teacher’s screens at the same time. What we like about the Epson is, you don’t have to fiddle around with the Windows configuration. It has its own standalone software (EasyMP), and it just works. Just one downside has come with the roll-out of Epson’s projectors. St Andrew’s is using Epson’s advanced networking solutions with its projectors in various ways. Currently, the projector network is only accessible by teachers, not by students. St Andrew’s College is in Merivale, Christchurch. With a roll of 1,350, it’s a fully-independent, co-educational school for pre-school to Year 13 day and boarding students. Throughout 2016, I am going to be profiling a number of different St Andrew’s College staff. The first of these was a post that I wrote a few weeks ago about Ms Donna Jones, in the English department. 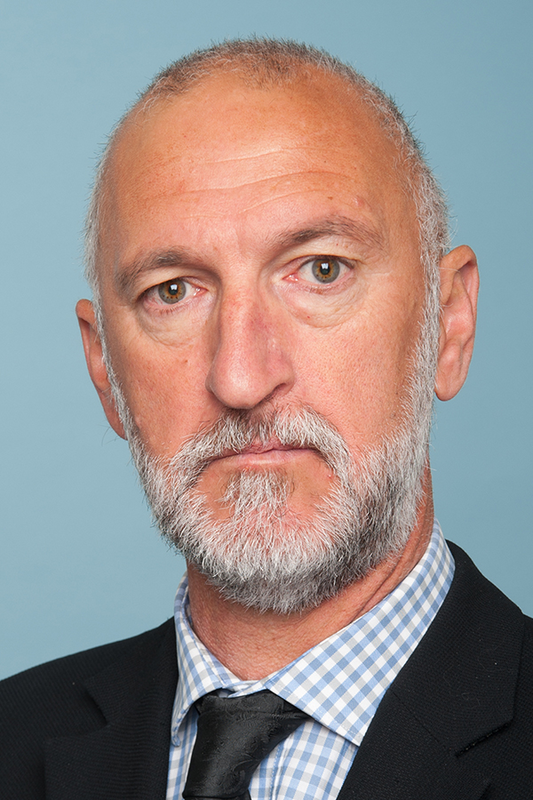 The subject of this post, is Mr John Quealy, a teacher in our Mathematics department. We have previously blogged about some of the great Teaching and Learning that occurs in this department. This week I had the pleasure of chatting to Mr Quealy, and the Head of Department, Mr Mitch Howard, about the work they are doing to redesign the content and delivery of the Year 11 General Mathematics Course. This course focuses on the practical application of mathematics in everyday life and achieving Numeracy. For students working towards level 5 of the New Zealand curriculum with the opportunity to progress to NCEA Level One Achievement Standards. Due to the nature of this particular Year 11 course, and the specific learning needs of the group of students enrolled in the course, a few deliberate changes have been made in 2016. As this group of students are in a 1:1 computing environment, the decision was made to increase the role of the device in the course. The pleasing aspect of this course development was that this increased use of technology was not simply as a direct substitute from the original textbook and exercise book model used in the past, but included the deliberate integration of technology into specific, and most importantly authentic, learning tasks. Working collaboratively, Mr Quealy and Mr Howard identified that these particular students would benefit from more practical and hands-on learning. An example was the Number topic that they are currently working on. To give this topic a more practical application the decision was made to embed this important learning into a wider topic around food, and food labeling. 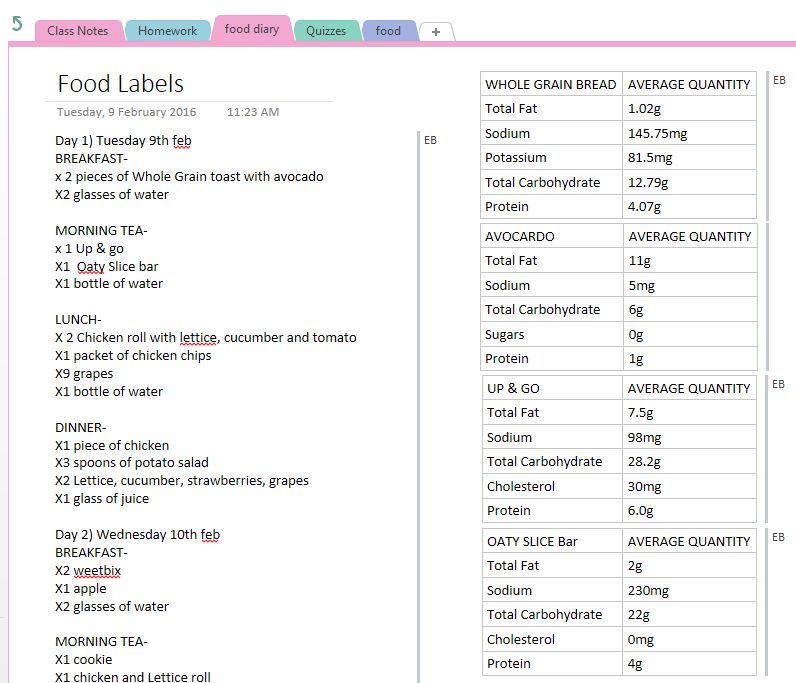 Students have been using Microsoft Excel to keep a food diary, which they have embedded into their OneNote class notebook. The benefit of this was that it allows Mr Quealy to access the students’ work and provide the extra feedback, and assistance that certain students require. The second benefit from using Excel in this situation was that the students were able to develop the basic skills required to complete basic formula, such as percentages and decimals, and data display within Excel through tables and graphs. The content library in the class OneNote being used to model what is expected. Mr Howard shares the same sentiments, particularly about the benefits of these students engaging with their devices. Another clear benefit of this new, computer based course, is that it allows the teachers of both Y11 General Mathematics courses, Mr Howard and Mr Quealy, to collaborate in the planning, delivery and reflection stages of the topic. By having access to each other’s class notebooks, they can keep in close contact, and share ideas, all while obviously maintaining the differences that their individual teaching styles, and student’s needs require. Within the Mathematics department there are an increasing range of eLearning tools being utilised. There are a small number of staff who run flipped classroom, while others are experimenting with Microsoft Surface tablets. What I particularly liked in this example was the fact that the technology is being used to allow teachers to work more closely together, and use their shared expertise and experience to improve the learning, and engagement, of their students. It is great to see the increasing engagement with Technology within the department, and I look forward to documenting their innovations in later Blogs.